Saturday, June 2nd is National Trails Day, where people all over the country make a point to get out and hike, or do spring maintenance on their favorite local trail. In Vermont we love our trails, and there truly is a trail for everyone regardless of interest and ability. 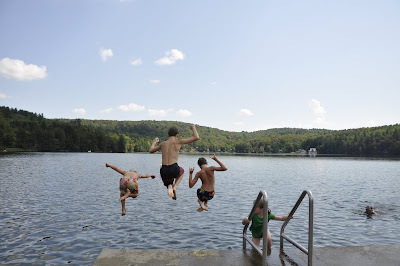 To highlight trails in state parks and state lands, we've compiled a list of trail adventures you might like to try this summer. This list only scratched the surface, and we've decided to leave out Camel's Hump and Mt. Mansfield in favor of lesser-known options. Find a trail that suits your mood! The trail to Button Point at Button Bay State Park is flat and leads to lovely views of Lake Champlain. Or walk the shoreline trails around Burton Island for lovely views of the lake and surrounding islands. Sunrises and sunsets are often vivid and dramatic. Learn about the northern forest highlands around Brighton State Park on their self-guided nature trail. 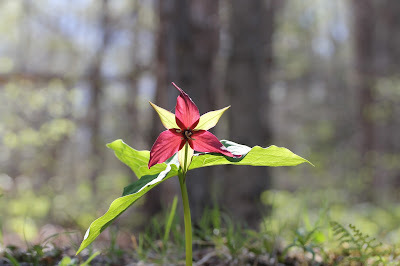 Or, learn about the hardwood forests and look for wildflowers at the Healing Springs Trail at Shaftsbury State Park in southern Vermont. Luckily, there are fire towers still standing in both northern and southern Vermont. Elmore, Allis, and Molly Stark all have towers with awesome views. Little River State Park in Waterbury has a new network of three miles of mountain bike trails, with several more miles under construction. For folks without bikes, there are miles more trails to explore on foot. Hike to the Falls of Lana at Branbury State Park for views from multiple angles, or pick up the trail to Hamilton Falls right from the campground at Jamaica. Just be careful- the rocks are slippery and can be hazardous. There are four trails of varying difficulty that lead to the summit of Mt. Ascutney State Park in southeastern Vermont, which folks have been climbing for over 100 years. 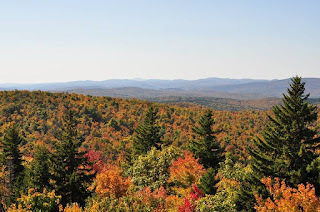 From various viewpoints at the top, look for views of the Connecticut River, Killington, and further away, the White Mountains of New Hampshire. Even many locals are unaware of the slate producing history in the area around Bomoseen State Park. You can still see remains of former buildings and colorful slate piles spouting in the fields and woods on the Slate History Trail through the forest. Bogs are unique ecosystems unto themselves that many people find fascinating. Explore a box without getting your feet wet at Lake Carmi State Park, and the Peacham Bog Trail in the Groton State Forest. Visit the hiking page of our website for a comprehensive listing of all trails in our parks, guidelines for hiking with pets, and suggestions for kid-friendly trails. Another great resource for hiking, biking and multi-use trails all over Vermont including parks and state lands is the website Trailfinder.info. Search by location or town, or by a specific trail. You can also search by specific trail adventures, including nature trails, summit hikes, and trails in state parks. New trails are added periodically, so check back often!